Steven Doane and Eastman pianist Barry Snyder have made a series of recordings for the Bridge label. The duo’s recording of the complete music of Gabriel Fauré for cello and piano was awarded the Diapason D’or in France, and has been broadcast throughout the United States and Canada, over the BBC in England, and throughout Europe. The second recording in the series, of works by Britten and Frank Bridge, was also released to critical acclaim. New releases on Bridge include the Rachmaninoff Sonata with Barry Snyder (May 2012) and Britten Solo Suites (due for release in 2013). 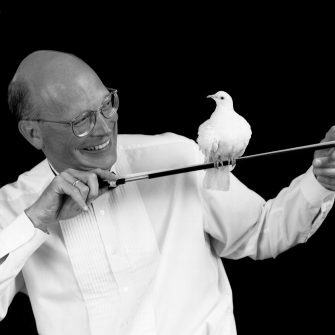 Steven Doane received Eastman’s Eisenhart Award for Excellence in Teaching in 1993, and the Piatigorsky Prize in teaching at the New England Conservatory in 1986. As a member of the New Arts Trio, Doane was awarded the Naumburg Chamber Music Award in 1980. He made his Carnegie Hall and Kennedy Center debuts in Don Quixote with David Zinman and the Rochester Philharmonic in 1983. His Tully Hall recital debut occurred in 1990, and has been followed by numerous recital appearances, including programs in London’s Wigmore Hall, Boston’s Saunders Theater, and many other venues. Steven Doane currently holds the title of “visiting professor” at the Royal Academy of Music, London, where he has done several residencies.